Minutes of March 11, 2015 meeting were accepted. Brian reported that he has an Eagle Scout to assemble the picnic tables and will have flowers to plant in containers as an alternate to vine cutting. Someone from the NY-NJ Trail Conference will be available to help identify (invasive) plants. There will be two other events in FDR that day. Dianne reported that Bedford Audubon really wants to do a bird walk and likes the idea of using Indian Hill. It is good that an organization wants to do an event with us. However, the field needs to be mowed. Brian does not have the staff to mow it, but realizes that an event like this one is good for both the park and the Friends. Jane asked could we hire someone to do it, as it was done 2 years ago. Jane will obtain the name of the person who did it the last time and forward it to Brian and Dianne. If we cannot find anybody, Brian will try and mow the main trail. 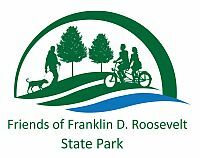 Recreational Trails Grant:Jane reportedthat we are now waiting for DOT to review our application. As yet, no one has had their application forwarded to the Federal Government. She doubts that we will be able to work on the bridge project this summer, but maybe in the fall. Jane will sign up for a National Trails Day event, working on the connection to town in an area that was not specified in the grant, but needs to be done. It will be from 9-12, meeting at French Hill School. We will be removing invasives and clearing trails. Brian Strasavich reported OPRHP is investigating bow hunting (no professionals) at Indian Hill and maybe French Hill. No Hunting in FDR. The road behind the bath house will be closed April 15-17 while tree work is being done. If anybody knows somebody who would like to be a life guard over the summer, the hourly pay is $15.56. The second and third week in May the staff will be painting the pool. Contact Brian if you wish to help. Comfort Stations 2 and 4 are now open. Brian mentioned that he would love to have wildflowers (a meadow) between the road and the Taconic near parking lot 3. The cost is likely to be too prohibitive. Trees, Inc took down some big trees in areas where picnic benches are placed, since safety comes first. These trees will be replaced. Another Eagle’s Project will be the placing of two kiosks opposite Strang Boulevard; and a Girl Scout Gold candidate will plant flowers at both park entrances. Brian showed us the new “laminated” RESERVED signs. Jane suggested that the fall fundraiser be to buy wildflower seed as this is a project that would benefit everyone. Charlie offered to put up the new rack card holders/boxes. Meeting adjourned at 9:00 pm.